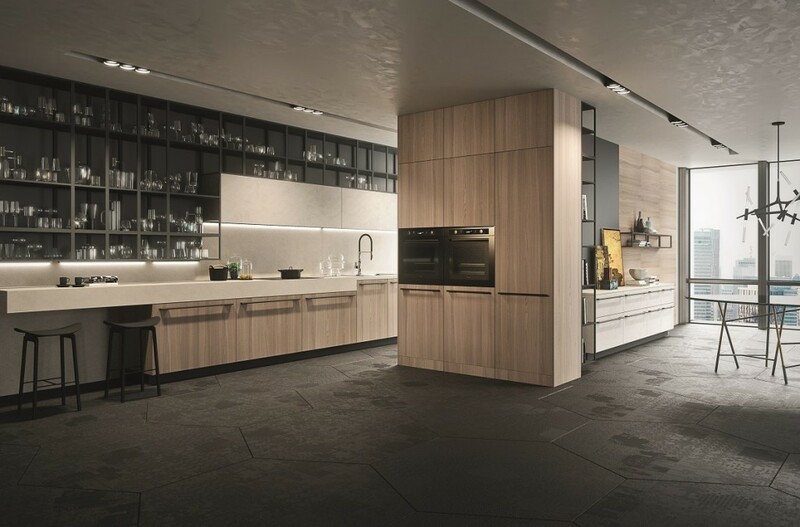 The Opera kitchen designed by Michele Marcon for Snaidero, was awarded the 2015 Good Design Award, marking the Snaidero brand’s 12th selection as a Good Design Award winner for various kitchen designs. This further affirms Snaidero as a long-standing talent for merging originality and creativity with the highest standards of craftsmanship and industrial excellence. Dario Snaidero, CEO of Snaidero USA added, “The Snaidero brand and family is very proud to have the Opera kitchen recognized by such a prestigious institution. The Snaidero brand is invested in great design and practicality and we are honored that our work and collaborations are recognized and resonate within the design community. The Snaidero brand will continue bridging unprecedented aesthetics and functionality that the American market can enjoy”. The Opera model is inspired by elegant compositions that maximizes space. The kitchen incorporates technology making for a functional kitchen area. These elements make the kitchen appropriate for a variety of spaces, including those that are contemporary with limited space. Sturdy, practical and comfortable, the Opera kitchen exudes stylish refinement. In addition, clients have an array of material options including: veneered, laminated, gloss and matt lacquered surfaces, or more glitzy choices such as: mica-based, metallized and wood lacquered finishes. The material selections provide opportunity for clients to personalize their kitchen spaces that resonate with personal and décor style preferences. Founded in 1950 and organized by the Chicago Athenaeum, Museum of Architecture and Design and Metropolitan Arts, the GOOD DESIGN AWARD is the oldest and most prestigious achievement across the globe that honors designers and producers who abolish design boundaries and conceive ground-breaking concepts.